Pelham Art Center is thrilled to announce the second Storefront Project, UPCYCLED THROUGH DESIGN, a pop-up exhibition of three collaborative works of art created by 34 artists associated with The Institutes of Applied Human Dynamics, Inc. (IAHD) in the Bronx. One of the visions of IAHD is to promote awareness of the breadth and beauty of work produced by artists with intellectual and developmental disabilities, as well as a community inclusive life for those individuals. Working collaboratively, using only recycled common materials such as fabric-samples, notions and buttons, this artist group will present two colorful collages and a sculptural wall work. 24 hours a day/ 7 days a week passersby can view this exhibition from street level through the storefront windows of 156 Fifth Avenue, Pelham, NY, across the street from The Pelham Art Center. UPCYCLED THROUGH DESIGN will be on view from July 11 – August 7, 2014. An opening reception will be held at the Art Center on July 11 from 6:30-8PM in conjunction with our annual Faculty and Student Showcase in the gallery and courtyard installation Wonderwall (Fluorescent Fuchsia Labyrinth) by Andréa Stanislav. IAHD will lead two free all-ages hands-on workshops to teach the techniques used to make the work in the exhibition. The first workshop will be held during the opening reception and will focus on eco-dyeing fabric using onion skins and flower petals. The second workshop titled, Art & Reuse in the Studio will be held on July 19, 1:30-3:30pm. This workshop will focus on up-cycling common materials to make art. Both workshops will be held in Pelham Art Center’s Studio 1. Pelham Art Center’s Storefront Project activates empty and underused store-fronts in downtown Pelham, NY by installing temporary “pop-up” art exhibitions by emerging artists. These street-level exhibitions will serve to energize both the space and the streetscape, continuously refreshing the cultural environment of downtown Pelham. Exhibitions of painting, photography and other two-dimensional work, along with sculpture and installations will each be shown for roughly one month. The Storefront Project is part of PAC’s larger Public Art Program, which includes sculpture and installation exhibitions in the Pelham Art Center courtyard for enjoyment by the public. Free arts programming positively impacts the neighborhood, stimulates local businesses and builds community by attracting residents and new visitors to an arts destination. PAC’s first Storefront Project is located at 156 5th Avenue and was generously donated by neighboring business Annie’s Nail & Spa. An open call was published in April inviting artists to respond to one or more of the following criteria when submitting a proposal: site-specificity, community building, public engagement, interactivity, history of Pelham/Westchester County/New York, and/or the importance of creating and sustaining public spaces. For more information on how to apply, visit Pelham Art Center’s website at www.pelhamartcenter.org. Applications will be accepted on a rolling basis with 12 proposals accepted per year. All work is for sale and inquiries can be made through Pelham Art Center. The Institutes of Applied Human Dynamics, Inc. has provided day services and residential services for individuals with disabilities in Westchester and the Bronx for over 50 years. One of the visions of IAHD is to promote awareness of the breadth and beauty of work produced by artists with intellectual and developmental disabilities, as well as a community inclusive life for those individuals. As an expression of this vision, IAHD has opened Dynamic Expressions Art Gallery in the Bronx to offer the individuals supported by IAHD the chance to share their artistic gifts and stories with visitors to the gallery. Dynamic Expressions Art Gallery hosts a community inclusive Visiting Artist Series and exhibitions featuring the work of artists with disabilities and community artists. Artists who receive services from The Institutes of Applied Human Dynamics have participated in several exhibitions and fairs over the past few years including The Riverdale Art’s Festival, “The Small Works” Exhibition at Materials For the Arts, “Rare People with Unique Talents on an Almost Rare Day” at the Albert Einstein College of Medicine, NYSACRA yearly art exhibit, several exhibitions At WestchesterARC’s Gallery365 and exhibitions at the Focal Point Art Gallery on City Island. Dynamic Expressions Art Gallery has been showcased by Bronx12 News. Three artists’ fresh perspectives in landscape. Outside-In features the work of Phil Laughlin, Scott Robinson, and Katie Urban. Each artist is invited to fill one window in Storefront 156, representing and considering landscape in ways that demonstrate expansive possibilities and diverse perspectives. Curated by ArtShape Mammoth. A collection of mixed media pieces, including illustrative furniture and wearable art documenting the journey so far and stops along the way. 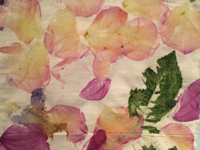 Opening reception July 11, 2014, 6:30-8pm with a free hands-on ECO DYEING workshop. An annual exhibition featuring two- and three-dimensional work in a variety of mediums by the Art Center’s talented artist-instructors and their students. Exhibited work ranges from charcoal to oils, black and white photographs to digital prints, and mixed media to ceramics. A fascinating experiential and interactive sonic outdoor installation that responds to the architecture of the Pelham Art Center’s courtyard, exterior light and visitors to the space. This entry was posted in Press Releases and tagged art, pelham art center, pop up, public art, westchester. Bookmark the permalink.